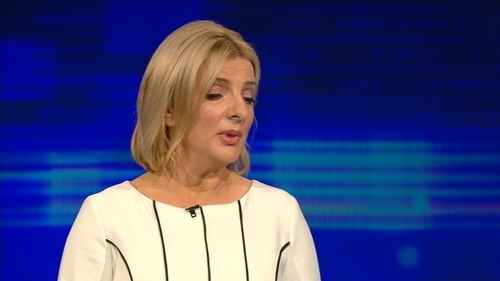 Sinn Féin has selected former presidential candidate Liadh Ní Riada for the upcoming European elections while the Labour Party has selected Dominic Hannigan. Ms Ní Riada has urged people to send a strong Sinn Féin team to Europe to counteract the Fine Gael campaign against Irish sovereignty. The Ireland South MEP was speaking at the party's selection convention in Tipperary today where she was once again selected as the constituency's candidate for the upcoming European election. "Week in and week out, we watch aghast in the European Parliament as Fine Gael MEPs brazenly support motions that dilute our sovereignty," she said. "They support politics that cut funding from social, environmental and educational programmes. "And make no mistake, Fine Gael MEPs are firmly wedded to following a path which will see Ireland pushed into an EU army," said Ms Ní Riada. Meanwhile. the Labour Party has selected Mr Hannigan to contest the midlands north-west constituency. "I am delighted to have been selected as the candidate for the midlands north-west constituency," said Mr Hannigan. "My campaign to win a seat begins right now. I will be fighting to change the focus of Europe to a more social union, where workers' rights, social rights and human rights are at the core. "As a former Chair of the European Union Affairs in the Oireachtas I am well aware of the challenges posed by Brexit and I will be pushing for Ireland's interests to be protected in the parliament. "We need an MEP with links to the Socialists and Democrats in the parliament - the second biggest group - and I have those links. "The challenge is big but I believe I have the energy, knowledge and commitment to win this seat," said Mr Hannigan.